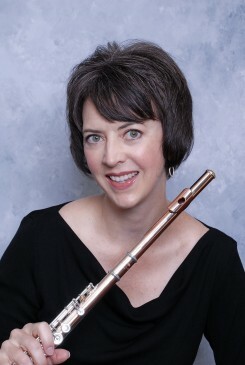 Flutist and piccoloist Diane Boyd Schultz has established her career through solo and chamber performances in the United States, Canada, France, the United Kingdom, Russia, Romania, and Austria. She has performed as flutist and piccoloist of the Dallas Bach Society, Alabama Symphony, Terre Haute Symphony, Tuscaloosa Symphony, Shreveport Symphony, and Richardson Symphony Orchestras. She is a prizewinner of several national and international competitions, including the Mu Phi Epsilon International Competition and the National Federation of Music Clubs Orchestral Winds Competition. Her festival appearances include Interlochen and Blue Lake Fine Arts Camps, the British Flute Society, National Flute Association, Mid-South Flute Festival, Florida Flute Association, and the Flute Society of St. Louis, and performances have been broadcast on Red River Radio and Blue Lake Public Radio. She has also recorded for the Emmy award-winning documentary Weathered Secrets and for incidental music to the play Death of A Salesman. She has presented masterclasses and clinics in England, Québec, the Bahamas, Cuba, Michigan, Missouri, Illinois, Mississippi, Tennessee, Arizona, Texas, Ohio, Colorado, New York, Oklahoma, and Florida. A Rotary International Scholar, she studied at McGill University in Montréal, and she has received grants to pursue her interest in studying and commissioning new works for flute and piccolo by American composers. She performed for the world premieres of Chris Brubeck’s Hermitage Cats Save the Day at the Hermitage Museum in St. Petersburg, Russia, and at the National Gallery of Art in Washington, D. C. Her articles have appeared in Flute Talk,Pan, and Instrumentalist. Schultz is professor of flute of the School of Music at The University of Alabama, where she is also a member of the Capstone Wind Quintet. Previously she was on the faculties of Stephen F. Austin and Eastern Illinois Universities. She is a Yamaha Performing Artist.